What some United Methodists are doing concerning health care reform. . .
Go here to check out what groups of United Methodists are up to in regard to the health care reform debate. Recently, I sat in a working group convened by the United Way that focused on income, one of the organization's priorities as it responds to community reality going forward. The emphasis is a part of the new focus to "Live United." The group began throwing out answers and ideas. A number of our answers related to education issues and opportunities. During our discussion, I thought of the clip below. Watch it and tell me what you think. Jim Wallis leads off the latest issue of Soj0urners magazine with a little commentary, "The Real Meaning of Sports," on the value of baseball to the process of community development. What he shares is worthwhile and right on! 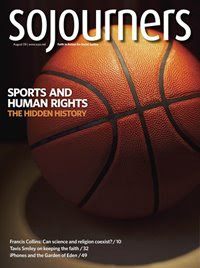 This issue of Sojourners focuses on sports, faith, and human rights. But I am going to write in a little more personal way, as a Little League Baseball coach. I’ve coached my son Luke in baseball since he was 5 years old, and now he is 10. I just started coaching my other son, Jack, last season when he was 5. Coaching my kids and their friends has been one of the great experiences of my life. The community that gets created around sports and school becomes what my wife, Joy, calls “the village,” where everybody is looking out for each other. If I am “the coach,” Joy has become the “village priest” when necessary. Any baseball or other sports stories out there about games and their importance or relevance to community development? Nothing to fear but our own fear. . .
For some reason people find it very easy to fear "the poor." I suppose my experiences with poor folks over the past 30 years contribute to my lack of patience and my weariness with such ignorance. And, just about every day I gather some bit of new evidence that confirms and deepens my perspective on this matter. There is no reason to fear "the poor." Recently, I received a note written by Judy Lawrence, the Properties Manager for the Central Dallas CDC. She is in charge of leasing up our various housing properties, including the big project at 511 N. Akard, CityWalk @Akard that includes 150 affordable housing units and 50 set aside for homeless persons. As we move closer to opening date, Judy spends much of her day interviewing prospective tenants. I've had 3 interviews for CityWalk already this morning. Each interviewee impressed me in so many ways....two young women with awful experiences in their lives - just trying to turn their lives around and one older man, currently living in his truck who, when I mentioned the one community room that was set up as a rehearsal room, eyes lit up and excitement filled his face and resonated in his voice. He was a song and dance man. He still loves to sing and dance - sang at festivals throughout Texas and the prospect of being able to do that again brought tears to his eyes. His voice cracked as he talked about how much he'd love to do that again and he ended by saying...I don't know what to say to which I responded...it is what Rev. King said...keep hope alive. He just left the office and he thanked me for giving him hope. My response, no sir, it is you who give us hope and we need to translate that hope into a reality. All three people had lost hope - that is what CityWalk is all about. Take the politics out of it. Take the rhetoric out of it. Simply listen to the heart and it says it all. Thanks, Judy, I needed that! We just don't need to waste another moment on fearing one another. Forgive me for not being too sympathetic. But, I find the barrage of TV ads concerning the evil health threat posed by the Obama health care reform plan laughable. For the past 15 years I've been surrounded by countless friends who have had to wait and wait to receive the health care they needed to stay alive. Due to delayed treatment and diagnosis, many of my friends died. Simply because they were poor, uninsured and unable to pay for the care their conditions demanded. Too young for Medicaid, too poor for private insurance and too sick to be effectively treated by the MASH approach of the Emergency Departments of local hospitals, my friends had to wait. They waited on charity--on folks like me to beg for free treatment. They waited on disease severity to reach a point where the ER might lead to hospitalization. They waited for admission to Parkland where everything is over crowded beyond belief. So, you'll understand if I'm not moved by the concerns of the well off, like myself, who get the best of care because we can pay to buy private health insurance. I'm certainly not concerned with the pain of the insurance lobbyists. I say provide coverage for everyone. Let all of us pay something based on ability. Let everyone receive the care needed. Frankly, if I have to wait on my brother or sister to go first, I'm ready to do so. In every other developed nation on the planet this willingness to share and to wait, just a bit, results in far better national, public health outcomes than are realized in the USA at a fraction of the per capita cost. We need to read the Golden Rule as we consider what is needed in health care reform. And, even more, we need to remember one another. With whom do we celebrate? For whom do we throw parties? Driving up an alley in South Dallas adjacent to a piece of property we're interested in acquiring for expansion purposes, I passed by what I've tried to capture on my phone's camera. The result of a clean up project inside the store behind which this was "piled up"? This collection of discards will serve as someone's home tonight. Neatly arranged with old sofa cushions strategically positioned for optimum comfort on the hard concrete pavement beneath, someone has "built" a home out of basically all of the possessions available. When I passed by, the tenant of this home was likely at "work." I had to capture it to pass along. The second photo reveals that everything depends on being positioned up against the wall to the back side. When I climb into bed tonight, a neighbor of mine will climb into this space and regard it as home, the only home available. I'll offer up a prayer for mercy on behalf of this unknown friend and on my own behalf as well. TACDC Features Central Dallas CDC! The Texas Association of Community Development Corporations featured the Central Dallas Community Development Corporation on its "Spotlight Page" on its most recent website posting. Kudos to John Greenan and company for the great work and vision! Really cool stuff. . .be sure and check it out and then, tell me what you think. Lots to think about here regarding "the sixth child." Interested in keeping up with Central Dallas Ministries' employment training division, otherwise known as WorkPaths? Just check in on our new Facebook account right here! You'll find a wealth of information and you'll be able to see what we're up to in the world of work! Labor is sacred. Education and training, essential. Here's a portion of his speech last week before the 100th Anniversary of the NAACP. He spoke on education, achievement, community, parenting and living strong. I don't care what political philosophy you embrace. What a speech! What a message! Shane Claiborne's call to "dance"
A meaningful call to joy. . . Warning: Crazy Granddad on this page! Last Monday evening after dinner with our youngest daughter, Joanna, her husband, Jordan, and, of course, our youngest grandson, Owen; we prepared to depart one of our favorite East Dallas joints for our respective homes. Owen had a better idea. He informed his parents that he wanted to go to "Granddad and Granny's house." It was a tough night for a sleep-over since the next morning Owen and his mom were leaving for the Gulf Coast with dad to follow in a couple of days. They planned to leave by 6:00 a.m. I volunteered to get him up and back home in plenty of time, but that really was a ridiculous suggestion. Hey, it's my job. I'm one of the granddads in this outfit! Owen protested that he knew where he wanted to go. So, our sidewalk discussion continued. At one point, Jordan produced a nice bag of M & Ms, Owen's favorite candy! He handed it to Owen. As the conversation went on, Jordan informed Owen that if he went home with us, he would need to surrender his candy treasure. He thought for about a second and then handed the unopened candy back to his dad and held on to my leg. We compromised in the end. Owen came home to play a while before bath and bed. Mom came a little later and picked him up and all was well. As we were leaving the restaurant with Owen in my arms, he called back over my shoulder to his parents, "I feel better now!" Then, he had to get down and run give them a parting kiss. Owen, I feel better too, and I will for a long time. I'll never forget what you did. Guess who's coming to "A Night to Remember" in 2009??? Every year Central Dallas Ministries hosts a giant community celebration at the Morton H. Meyerson Symphony Center located in the Downtown Arts District. It is always a big deal and lots of fun. Past performers include Bill Cosby, B. B. King, Gladys Knight, Patti LaBelle, Vince Gill, LeAnn Rimes, and Clint Black. Guess who's coming this year on Tuesday, October 27, 2009? Got in my car this afternoon and the dashboard thermometer read an unbelievable 117 degrees! I remember when we moved back to Dallas in the summer of 1980, we faced a record number of 100-plus days in a row. I remember that well because that was the summer I installed a sprinkler system in my new yard in Richardson. This summer feels much worse. Guess I'm just that much older now--almost 30 years older, come to think of it. Man alive, it's been hot as. . .blazes! I keep wondering why I live in Texas. 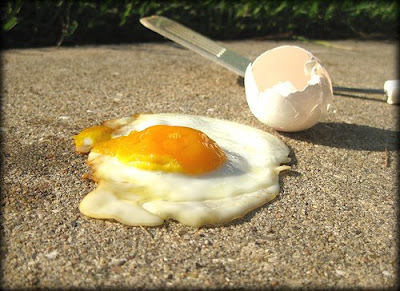 Any really hot weather memories to share out there? Every year the United Way of Metropolitan Dallas conducts and publishes a very useful and enlightening "Community Needs Assessment" for its four-county service region (Dallas, Collin, Rockwall and Denton). What follows are some important and revealing "tidbits" that I've lifted out of one version of the report. Shortly after 2025, Hispanics will be the majority population group in the region. By 2040 just under 70% of children under 5-years-old will be Hispanic. Basically the same reality will be the case in every other age grouping until the 50-54-year-old group. By 2040 the only majority white age group will be the 65+ crowd. In Dallas County the population grew at less than 5% between 200-2007, while the numbers living in poverty grew by oer 30%. In Collin County (Plano, Texas) the population grew by over 40%, but those living in poverty increased by 100%! For the entire region the population grew by 16% while those living in poverty shot up 41%. In 2007, 1 of 4 families (26%) with children under 18 residing in Dallas County live in poverty--higher than the state average of 1 in 5. In Dallas County, 23.27% of whites, 23.32% of Hispanics, 24.01% of blacks and 10.83% of Asians live in poverty. In 2007, 45% of renters in Dallas County were spending more than 30% of monthly income on housing, the recognized national benchmark of the expected cost of an affordable home. In 2006, the annual household income required to afford a 2-bedroom apartment at fair market rent (FMR) for our region was $31,920--or the income from 3 minimum wage jobs. In Dallas County from 2005-2007, 33.9% of the working families are classified as "lower-income" and 40% lived at or below 200% of poverty. The Dallas and Plano and Frisco that most people know is very different compared to the same communities that thousands of our neighbors experience every day. Fifty-three million Americans live between the poverty line and the middle class. We encounter thousands of these individuals each year. What you'll see in the video below is a brief presentation on the "near poor" presented by Professor Katherine Newman (Princeton University). The data behind the video below is 2-3 years old. The reality facing poor Americans today is even worse than what you'll see when you watch. Maybe I sound like a broken record. My problem is that I see this every day. Checking the news. . .
Forgive the quality of the image here. I captured it on the move with the camera in my phone. The corner is just off Michigan Avenue in downtown Chicago. What you're looking at is a homeless man reading a newspaper he dug out of the trash can. I noticed him as I approached the corner and as I waited for the traffic light to change. I was there long enough to observe him making his way through several pages of the front section of the newspaper. He was lost in his reading, sort of like me over my cereal in the morning. 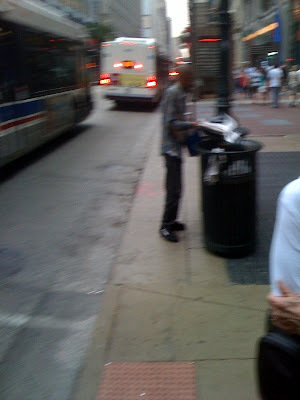 It occurred to me to try to record the scene simply because of what it conveys about this one man, homeless persons in general and all of us who walk the streets of cities like Chicago. Just because this man is among the poorest in his city doesn't mean he isn't interested in finding out what is going on. He couldn't afford to buy a paper, but he found a way to get what he felt he needed. As I recall the scene with the help of this blurred imagine, it hits me again that we are all about the same when you get right down to it. Conventional wisdom in Dallas says, "Don't give money to panhandlers." As a matter of fact, there is an ordinance against begging on the streets of our city. While I understand the logic behind the rule, I also know that this is a case where "one size fits all" just doesn't apply. My latest example happened early one morning last week. I stopped by Starbucks on my way to a meeting Downtown. There on the sidewalk, positioned at one corner of the store so as not to block the entrance, was a man seated in a wheelchair. One leg had been partially amputated. As I entered the store, he called out to me, "Good morning, my man! Could you spare a little change for an old man?" His smile was wide, infectious and compelling. "I'll try to catch on the backside, friend," I called back. "Sure thing, friend," he replied. When I came out with my coffee, I walked over to him. "Where do you stay?" I asked. "Well, I was homeless, but I've got me my apartment now!" he informed me with pride. "My place is just right over here," he explained, pointing down Gaston Avenue. "What about your SSI," I asked, wondering if this obviously disabled man had worked out the benefits he could access. "Yes! I've got that all set up as well," he beamed up at me. He patted the arm of his rather well-worn motorized wheelchair. "They told me that it would take me a long time to get one of these chairs with a motor. I'd been trying to get one for a while. But, you know, a lady came by right here and just gave me his one! I didn't have to wait, she just brought it to me," he volunteered about his form of basic transportation. I handed him my contribution to his cause. He thanked me. We shook hands and I went on my way. As I left, I heard him calling out to a little girl, just barely 1-year-old, walking up the sidewalk with her mother. They stopped to talk to him. He didn't ask them for anything, he just greeted them and wished them well. Later in the week, as I drove by that same spot on my way up Gaston Avenue, I spotted my friend again, rolling along in his gift chair on his way to Starbucks, I expect. For him, it was his work. It occurred to me that the gentleman is the unofficial greeter there! And, clearly, no one in the store enforced the ordinance. Of course, I don't know this man's budget, nor do I know his entire story or situation. But I can imagine a situation in which he has his housing covered, but not quite all of his living expenses, including food, utilities and transportation. He's got to find a way to make the ends meet. Maybe I'm not supposed to, but I expect I'll give him my "pocket change" again, if he asks me. After all, he is a member of my neighborhood. I snapped the first photo below of a multi-family apartment complex just down the street and around the corner from the house captured in the second photo below. The neighborhood reminded me of many I've driven through in Old East Dallas, but these photos were not taken in Dallas. Here's the question: Who owns the home in the second photo? The person to answer correctly in the comment section will win a copy of Richard Stearns' new book, The Hole in Our Gospel. The Dallas Morning News published a story yesterday lifted from the Chicago Tribune entitled, "Rich hold tight to money" (Thursday, July 9, 2009, 13A). As a result of the current economic crisis, "luxury spending" is down by 10% so far this year. Evidently, a proven indicator of our economy's resurgence can be found in the spending habits of our wealthy neighbors. 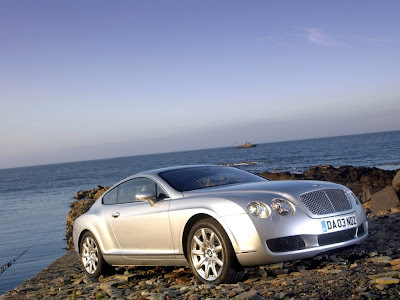 According to the report, businesses selling luxury items shouldn't expect a "full recovery until 2012." Here's an interesting fact: the richest 10% of us in this country account for 50% of all consumer spending. And, according to the Federal Reserve, consumer spending fuels 70% of the nation's GDP. The report includes a brief analysis of the losses incurred by the mega-wealthy since the collapse of 2008. But then, it adds, "One school of thought is that the well-heeled shoppers are holding back because they are self-conscious about their wealth." That's interesting, don't you think? I know at CDM we continue to be grateful for our more affluent donors who continue to support our work. In a number of cases these donors have stepped forward to do even more than normal to help those who are hurting due to the faltering economy. Our mission and purpose leads us to work on poverty every day, regardless the state of the economy. We don't talk much about wealth here. The complexities of both poverty and wealth are clear to me. One thing I know for certain, as different as rich and poor may be on the surface, we are all neighbors and our community will work best when we regard one another as such. What are you ideas about wealth? Take a moment to check out the video update on the Central Dallas Community Development Corporation's (CDCDC) Re: Vision Dallas project that would entail the sustainable redevelopment of the entire city block immediately behind Dallas City Hall. Then, while you are at it, check out Charlie Gibson's report on housing in America on a recent edition of the ABC Evening News. Toward the end of the report you'll hear a mention of our project, as well as a quick image of it. I take it that you've noticed that, right? It is especially important if you find yourself in a situation where it is not available to you or your loved ones. These days more and more people are coming to us for help with their nutrition needs. Most are from working families. 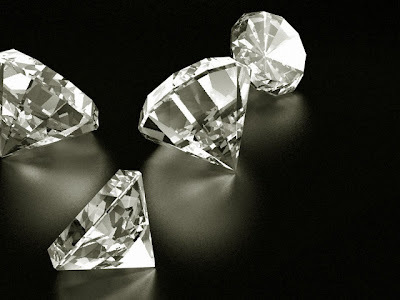 All attempt to make it on very low, inadequate income resources. Some work at more than one job. Many are elderly neighbors and children, beautiful children. For years we've struggled to provide enough food to these growing numbers of people who need help with their grocery costs. 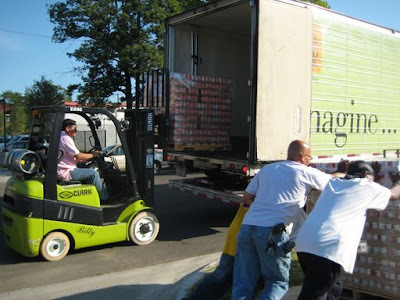 While we have served more people than any other organization in town, we haven't been the leader in quantity of nutritious food products delivered. 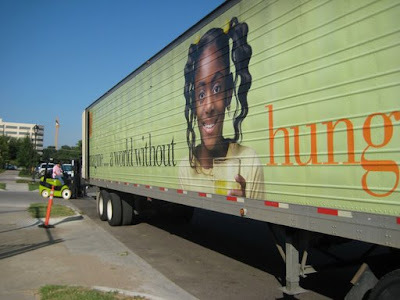 The leader in Dallas when it comes to pounds distributed and quality of food products is Crossroads Community Services (CCS), an outreach ministry of First United Methodist Church located in Downtown Dallas. Rev. Jay Cole serves as the Executive Director for CCS. I'm very proud to say that Jay spent time with us at CDM as an intern while at Perkins School of Theology. While he was with us, he taught us more than we taught him! Jay has developed the most innovative system for food distribution in the city, possibly in the nation. His plan links individual and family food selection to a number of indicators, including family size, lifestyles and health indicators. Jay's system is tied directly to the U. S. Department of Agriculture's new food needs pyramid. Earlier this year CCS and CDM worked out the details of a collaborative partnership to do even more in response to the food needs of low-income neighbors in Dallas. Some of the improvements resulting from our new connection include the fact that we order food from the North Texas Food Bank (NTFB) together in a joint, collaboration account. Together we are serving more people than we were apart. CDM has adopted the CCS database and reporting model, as well as the food selection methodology and we are now distributing twice as much food product as before we the new relationship. 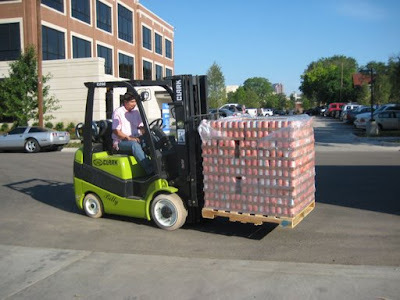 In the future we hope to develop an expanded network of food distribution sites that link up with smaller organizations across the city in an attempt to cooperate with our partners at NTFB. We are feeling very optimistic about our future. I'm grateful for CCS and Jay Cole and his entire team. I'm also very thankful for all that Keith Ackerman has done on the CDM side to establish and solidify the new relationship. Of course, none of this would have been possible on our side without the hard work and positive, cooperative attitude of Agapito Perez, the Director of the CDM Resource Center. He has the new, bulked up system working like a well-oiled machine. We hope to respond to the pressing, extremely important food needs of our neighbors no matter how severe they may become. If you'd like to help us, give me a call! I read with great interest Scott Parks' story on Saturday in The Dallas Morning News reporting on plans to open an entertainment park in Fair Park from May through August in 2012. Not too sure that I'll be caught in line to ride the new roller coaster, but I applaud Errol McKoy's vision to do something with this grossly underutilized public asset. McKoy, president of the State Fair of Texas that fills the park in September and October annually for the famous fair, knows something about theme parks and crowd pleasing. He worked for Six Flags Over Texas for twenty years before joining the State Fair in 1987. My interest is not specific to McKoy's plan. I just think something needs to be done to maximize and to take advantage of the fairgrounds for the good of everyone, especially those who live in and around the Fair Park community. 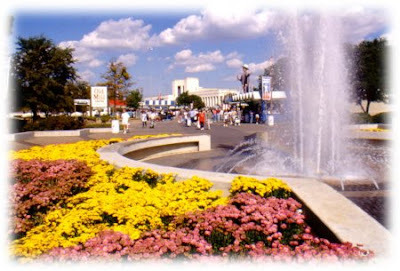 Fair Park is owned by the city of Dallas, as in us! In the organizational scheme of things at City Hall, it is "a division of the Dallas Park and Recreation Department. Located two miles east of downtown Dallas, Fair Park is home to nine museums and six performance facilities, including the Music Hall, Smirnoff Music Centre, Band Shell and the Cotton Bowl Stadium. This National Historic Landmark has the largest collection of 1930s Art Deco exposition style architecture in the United States located on 277 acres of beautifully landscaped grounds. Special features include the Leonhardt Lagoon, Texas Vietnam Memorial and Smith Fountain. In my view the park represents a wasted opportunity to create many new jobs; housing of varied sorts, ranging from permanent supportive studio apartments to high-end, upscale condos and town homes to inner-city Art Deco lofts; an entertainment district with band stages fit for a "Texas Music Festival" or something like what I just witnessed in Milwaukee with their "Summerfest;" mixed use retail development that could feed off of the new DART rail stop at the gates of the park; possibly even funky, new urban office space for businesses of all kinds, for-profit and non-profit; sports fields for youth baseball and soccer academies and leagues; and a corporate academic coaching center where DISD students could come after school for mentoring, help with school work, expsoure to higher science and math, and participation in fine arts under the direction of an army of volunteers from our corporate and professional community. Or, how about a minor league baseball team to add to that mix? Fair Park is a public treasure. We must not continue to regard it as just the place where the State Fair shows up for a month each year. It could be so much more than it is today. We need to dust it off, call together neighborhood and other community leaders, add new vision and renew it completely for the good of the entire city. "It's not about charity, it's about justice. "The test of our progress is not whether we add more to the abundance of those who have too much...it is whether we provide enough for those who have too little." "The curse of poverty has no justification in our age. It is socially as cruel and blind as the practice of cannibalism at the dawn of civilization, when men ate each other because they had not yet learned to take food from the soil or to consume the abundant animal life around them. The time has come for us to civilize ourselves by the total, direct and immediate abolition of poverty." A great baseball memory on another July 4. . . Recent, firsthand, eyewitness news reports from Iran via Twitter, Facebook and other social networking sources have been depressing and, at times, shocking. Citizens expressing themselves and their rights in peaceful, public demonstrations end up caught in terrible violence, cruel beatings, arrest and who knows what else? As a freedom loving person, it is impossible not to be moved and concerned for our fellow human beings on the other side of the world in Iran. I know that I take for granted the freedom I enjoy as a citizen of this nation. I am grateful that our nation is not ruled by a "supreme ruler," an unquestioned religious leader who claims the sanctions of God to justify every action, even those involving brutality and torture. Today, I am most grateful for "the separation of church and state." I am thankful for our open, secular, social fabric that allows each of us to work out our own faith without imposing or being imposed upon by some overriding authority. I am grateful for our forefathers and mothers who saw and understood the importance of such openness of religious expression, including no religious expression at all. I am praying that the cleansing power of liberty would wash all such madmen away in its powerful wake. I am praying that as a people we might understand again the importance of diversity, freedom of expression and basic human rights. Today, I am praying for the spread of liberty into places where it does not exist. I am praying for those who in this very moment are making tremendous, painful and dangerous sacrifices for the cause of liberty. And, I am thankful for what we have in this nation and for the freedom we enjoy that allows us to work hard at making things even better. There will be celebration today in our home. . .and thoughts for people and freedom around the world. Hard working people get my attention. Kenny Chesney and Goerge Strait sing it here: "Shift Work." Speaking of wild finishes in a NASCAR race--check out the video link to the final lap of the Talladega Sprint Cup race below. Brad Keselowski came out of the pack on the final lap to win the race. Thankfully, no injuries, just all-out excitement! Race date: Sunday, April 26, 2009. The Global Humanitarian Forum's most recent report, "Climate Change responsible for 300,000 deaths a year," outlines the impact of climate change on human life. The report is way beyond sobering. We have so many reasons to come together in community, both locally, nationally and around the world. Certainly, this report provides additional motivation of the most pressing sort. The full report goes on. 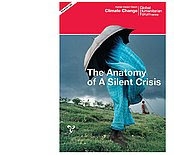 . .
London 29 May – Kofi A. Annan, President of the Global Humanitarian Forum, today introduced a major new report into the human impact of climate change. The ‘Human Impact Report: Climate Change – The Anatomy of a Silent Crisis’ is the first ever comprehensive report looking at the human impact of climate change. The report was issued immediately prior to official preparatory talks in Bonn for a new UN international climate agreement to succeed the Kyoto Protocol, which expires in 2012. These talks will culminate at the United Nations Climate Change Conference in Copenhagen in December 2009. The report was reviewed by leading international experts, including Rajendra Pachauri of the IPCC, Jeffrey Sachs of Columbia University, and Barbara Stocking of Oxfam. The report estimates that climate change today accounts for over 300,000 deaths throughout the world each year, the equivalent of an Indian Ocean Tsunami every single year. By 2030, the annual death toll from climate change will reach half a million people a year. At Central Dallas Ministries, we are working right now on developing a job training program to go along with a possible business venture to bring solar power to low-income communities here in Dallas at a price point that makes sense.